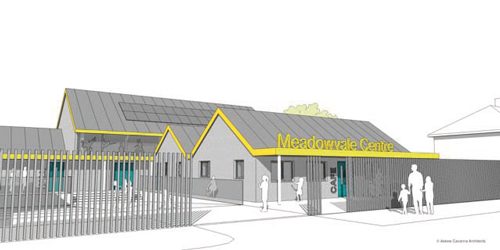 PLANS to breathe new life into Meadow Vale Community Centre in Speedwell have been approved, paving the way for much needed facilities in the area. Bristol City Council gave the thumbs up to the plans for major renovation and an extension after considering comments supporting the application. Residents who said a modern community centre is desperately needed in the area were backed by Bristol East MP Kerry McCarthy who told the authority this part of her constituency had "needed a project like this for some time." The plans, drawn up by Bristol-based Askew Cavanna Architects, will allow the charity Meadow Vale Community Association to continue its work supporting the community by offering more facilities and activities. Ms McCarthy said: "It would prove a real asset for the local community. Many people in Speedwell feel forgotten, thanks to a lack of visible investment and regeneration, and I believe that approving this application would make a positive contribution to reducing feelings of disconnection and disenchantment." Fiona Russell, chair of Meadow Vale Community Association, said the community has been waiting for improved facilities since transforming a small derelict building into the centre in the 1980s. "It's been a battle we've been fighting ever since. We misguidedly thought that if we repaired this derelict building that the council would help us build an extension but that never happened. "Our biggest problem is the size of our existing hall - it's not much bigger than a living room. It means we're not sustainable as all the things community centres should be doing, like weight loss and exercise classes, we can't do because our hall is too small. We could do so much more with a bigger building." Now planning permission has been granted, the association will be able to apply for funding. Fiona said: "It's been a long hard slog to get to this stage. The amazing thing was there was not one objection. It just proves how much the people out there really want it. "Now we're trying to get the money to fund it from everybody! The main bid for £550,000 was submitted for lottery funding in December but the total cost will be about £1million. "We can definitely prove the need as the area is one of the most deprived in England and that should go in our favour." The work will be carried out in two phases. Phase I is the refurbishment of the existing building with a simple extension which will roughly double the area of the building. Phase II is a further extension to form a hall with store and two showers. Toilets and changing rooms will be built in the space next to the main hall. The news has been welcomed by St George Neighbourhood Partnership who said: "This application represents a major milestone for a project that local residents have been demanding for many years. "St George NP has supported this project as well as the recent construction of a new play area and other improvements in the adjacent park." Architect Chris Askew said: "We are really pleased to have secured planning permission for this project to provide much needed community facilities in Speedwell. 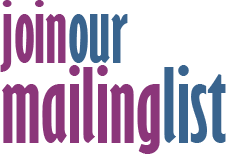 "The aim is to refurbish the facility with a community café in Phase I, with the support of Bristol Rotary, and then build a new annex in Phase II, with the support of lottery funding. "The second phase is designed to meet Sport England guidance for community halls, and includes an all-purpose hall 18 x 10m, changing facilities and function room. The building will allow for a wide range of sports and social events for all ages. "It will be constructed to modern standards and be highly sustainable. The design incorporates a 'graffiti wall’ for local artists to replace the existing mural. It will be an asset for the community -something for local people to take pride in." The site was developed in late 1940s as maintenance and housing office for the council estate. In 1985 the building was surplus to need so residents formed Meadow Vale Community Association to turn it into a community hub. The association has managed to secure funding for a number of initiatives including a young children's play area near the nursery on the other side of the green, an activity trail, lighting and fencing for the multi-use games pitch, a planting programme including fruit trees and an Active Play area. Association has been supported by Bristol Rotary, Sovereign Housing Association, Neighbourhood Partnership, Speedwell Nursery and the University of the West of England.